Argghhh....vielleicht liegts ja an meinem biblischen Alter von jenseits der 30 aber ich versteh das hier alles nicht mehr so recht...Robert hat einen Anti-Fan-Club? I leave know. If my ex doesn't post here, I shouldn't post again. Have fun. @t.r.schmidt: Why don't you ban the WHR-Fanclub already? They behave like a bunch of pre-pubecent kids anyway. They even "threaten" you to leave - like doom would be imminent after they would have gone. @TRS ) You dunnot understand. And now, you came on my site to laugh on Zork (and me). Impressive too. Let fall this. @t.r. mmh, was ist denn hier los? The Point is, Zork started a "we hate Robert Fanclub" and obviously invited Renamer and Erhynn to join. And now they want to tell us all how much they hate Robert. Every Day. Pretty interesting. Or maybe "impressive". Oh, oh, and another one, last post was labeled : "The Renamer, post and quit too - 19.05.2004 - 19:24" - but today there was a new one. Let´s see if he breaks his promise twice. @The Renamer: first read the Archive before you call somebody "liar". @Erhynn Megid: so what do you want to tell us, all gays hate Robert? Whatever.... I´m getting tired of this childish discussion. @TRS ) Robert never said "Sorry" to my ex mate, lier. @Robert ) Why did they hide the name of their partenar ? @TRS ) Ban me if you want. We'll never get back here. A last question. 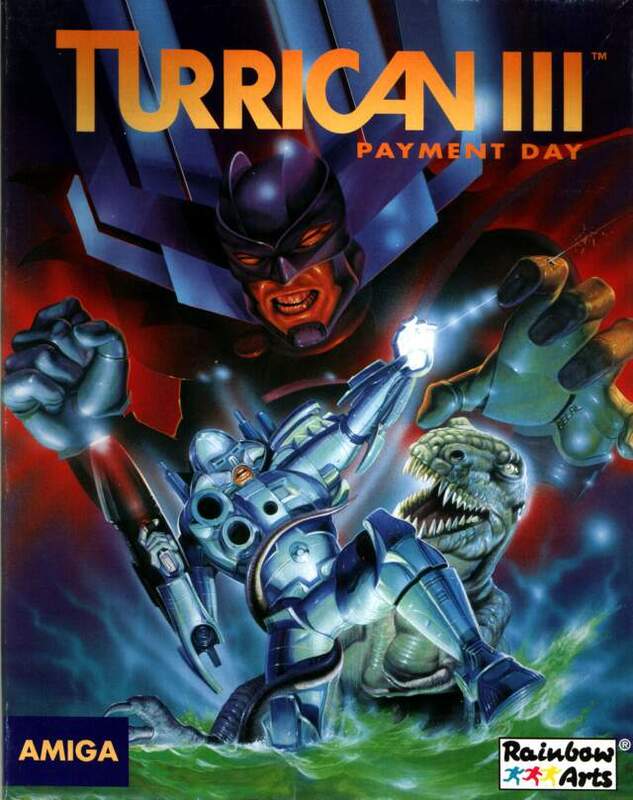 Has anyone sfx (not music) from turrican? Tfx format or other. ""GGT is almost ready for release, but we're still searching for a graphics artist for drawing intro and extro pictures."" where's Ultrastorm ? Didn't working on thoses pics ? He has been mentioned here and elsewhere. Do you want to help too, or why do you care so much about it? "GGT - For all who didn´t already hear it.."
So Robert, why does Ultrastorm has never been mentionned on your site, or elsewhere ? Super Konrad Bros. - cool Why do you write in the past tense? Ultrastorm is still working on the GGT intro and extro pictures. Whats your Problem? We talked a lot about Ultrastorm here?! And Robert even said "sorry" to Erhynn. And please don´t set Erhynn on one level with Zork. For thoses who checked the IP, I'm a my ex's home, so I use he's computer. Are you happy now ? Ultrastorm worked on GGT intro/extro pictures. Why does the Super Konrad Bros. never talked about him ? He's not too important for your game ? Java ist für gänzlich andere Dinge gedacht als Flash - man könnte trotzdem alles machen, was Flash macht (und da Hardware 3D möglich ist sogar noch besser). Und es gibt von Adobe ein prima SVG PlugIn. @Aky: Dann müsste einer von uns ja auch im Adressbuch des Bekannten stehen. @robert/martin: da ist man mal ein paar tage nicht da und alles kommt auf einmal habe mir alles angesehen, muß heute abend mal in unserem channel drüber reden! @chief: i used an older version, but the latest version of the editor! Bei irgendeinem meiner Bekannten scheint der SoberG durchs Adressbuch gerauscht sein, hat wer einen Virus unter meinem Namen bekommen? (Aky aka Akyman aka A.Kai) ? Mensch, da ist man ein paar Wochen weg und schon gibt's mehr News als man in einer vernünftigen Zeit downloaden kann. Respekt! Karsten hält einen Vortrag - na dann komm ich natürlich. @Dex: Did you use T2002 v1.0 to base T4f on? What editor did you use then? Jepp...und so ist es dieses Jahr wieder am Mittwoch Abend ist das Konzert zur Eröffnung und ab Donnerstag findet die Messe statt. So gesehen ist es direkt vor der GC...allerdings halt mitten in der Woche. Soweit ich mich entsinnen kann, war es das letzte mal am Abend vor der GC. @TRS: Du musst natürlich schon zum Konzert kommen, da wir Bilder von Dir haben, wirst Du uns nicht entwischen! @Dex. How did you edit your levels? I have installed the T2002 editor but it can't read your levels. You used an older version of the editor? a remix of the first tune might be possible in the future, maybe i will rearrange all of the tracks, i don´t know, my time is always very limited. A remix of the level 1 tune with more balance between synth volume and drums. A switched off Turrican-suit using the original sprite, and maybe a more smooth transition between the levels? Wish I had the skills for T5. But alas. Ok, I may have overwhelmed you a bit. How about just these things...??? also ich fahre auch immer zur gc war auch beim konzert letztes jahr! Chatlog ist übrigens online. Wenn noch jemand den Anfang hat, bitte zu mir damit. Unter den Umständen sollten doch wohl wirklich ein paar Leute mehr kommen. Danke, Martin! Ich verlass mich wieder auf Dich! @Erhynn: I don't want to flame you. I just want to tell you: Systems do not matter - games do. I like to provoke, but not to make somebody angry, but to make somebody think. Sorry, that it did not work out as it should. Ne CD wär in der Tat ne schicke Sache! Ich hoffe immer noch irgendwie Aufnahmen vom letzten Jahr (Apidya) in die Finger zu kriegen. Noch nicht bekannt, holla! Obs diesmal eine CD davon gibt? Vielleicht schon bekannt...aber: dieses Jahr werden beim Games Convention Konzert Stücke aus Turrican dargeboten. Natürlich umgeschrieben für Orchester. @robert: seit ihr heute nochmal im channel? Deins, Version 0.9 schreibt die Chip. @Erhynn: Sorry, I pity you. @Robert >> It's getting boring me really hard. Allez, un dernier verre pour la route : Factor 5 supports N5 too. Thornado will maybe multi plateform. No one talks about Thornado in this article. Now please, let me live Robert. Thanks. I like games - and cause of that I got Gamecube, PS2 and XBox (and some more). But as you do not like games - why are you here? @Robert >> I like the Ps2 and the GameCube, but if I had to choose between a Ps2, a GameCube or a Xbox, I choose the GameCube. Sorry if I don't like what YOU like. Activate the Freedom Thoughs Robert. @robert/martin: habe noch mal eine frage hat martin eventuell nochmal kurz zeit? wenn nicht, dann morgen bin im channel! Dafür bekommst Du bestimmt einen Preis für Extreme Gaming. @Erhynn: None of the next gen systems will be seen at this years E3. Now please stop flaming - we've all realized, that you are a system fanatic. @Robert >> e3 2004 has started. Thornado ISN'T FOR XBOX 2 !!! Ha ha ha ha ha !